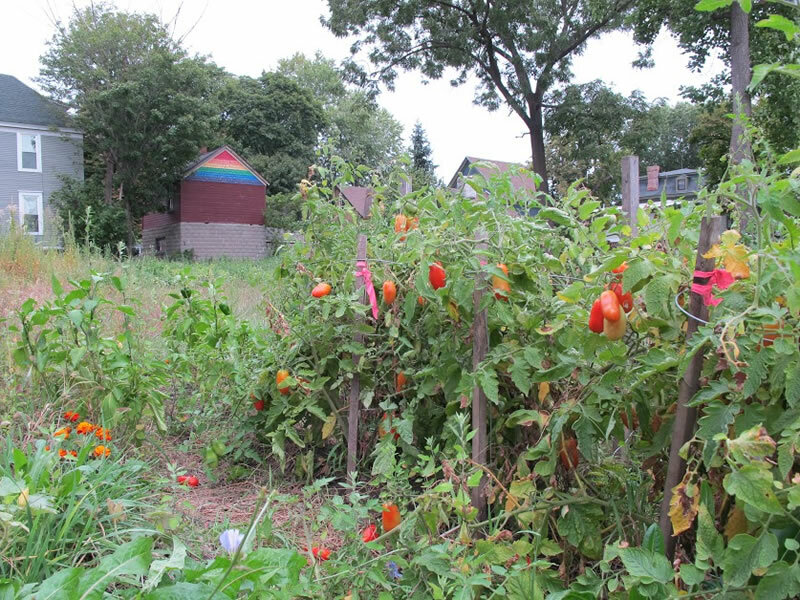 The Hawley Green Vegetable Garden has been a fixture of the historic neighborhood for which it’s named since 2005. The garden is located on land that the River of Life Church generously lends, and it boasts 22 plots, which are cultivated by nearby residents. On any given day during the growing season, one might hear conversations in Arabic, Swahili, or English exchanged. While garden plots are gardened individually, members share the responsibility of communal tasks, like watering garden beds. Tomatoes, beans, peppers, broccoli, lettuce, and herbs are among some of the crops you might find through the gardens’ wood chipped paths. Typically a $20 annual fee (or whatever one can afford), is encouraged for participation in the garden. Interested individuals or families can get involved by emailing the garden coordinator, connecting on Facebook, or simply stopping by!